This recipe has been very popular on the site since it was submitted by "Cathy" way back in 2005. I finally got around to trying it (November 2012) and took a few pictures. The recipe here is just how "Cathy" submitted it, but I would suggest two changes. Increase the sweetener to 2 or 3 teaspoons. Instead of using an exact measurement for the milk, I'd eyeball it. 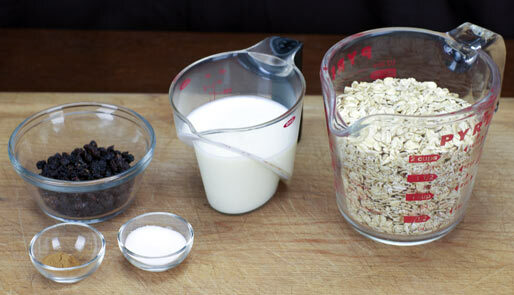 Add just enough so a very thin layer of milk covers the oats after everything has been mixed. Keep those comments coming. I love reading your opinions! 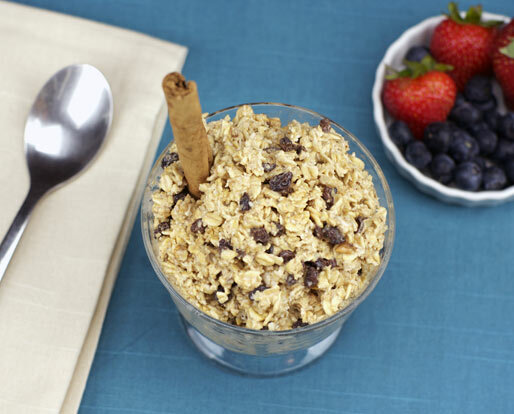 The night before your breakfast, mix oats, milk, cinnamon and sweetener (if using) together in a cereal bowl. (If you are using the dried blueberries, go ahead and add these the night before - making sure they have plenty of liquid covering them.) Now cover with plastic wrap and place in the fridge overnight. In the morning, add your fresh berries (if using) and stir gently. Enjoy. This is my very favorite oatmeal. Once I ate this, cooked oatmeal took a vacation in my home. 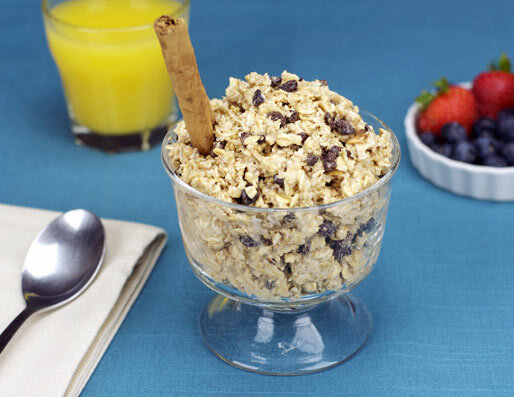 For a twist, use steel cut oats one morning. Either way you are getting plenty of fiber and a no-sugar option as well. Mr Breakfast would like to thank *Cathy* for this recipe. Recipe number 1499. Submitted 7/17/2005.